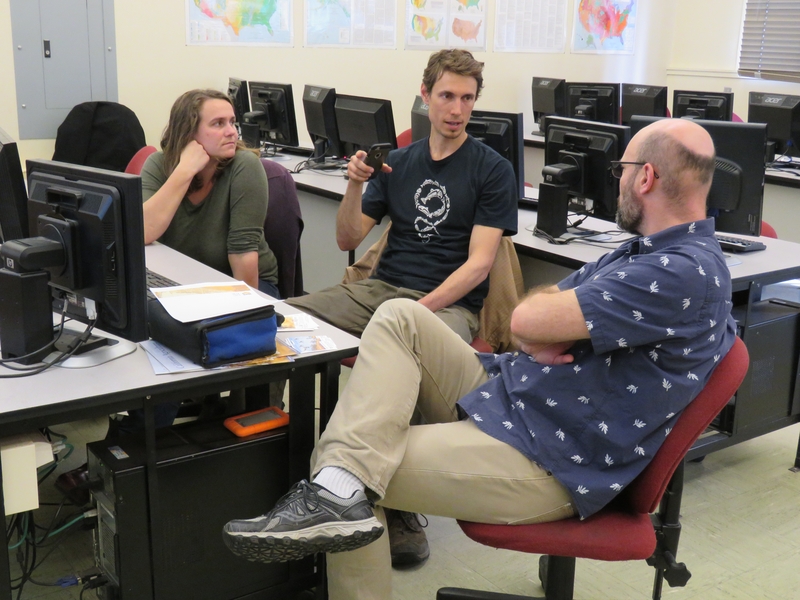 IGIS worked with UCANR Advisors Mike Jones, Rick Satomi, and Yana Valachovic to conduct two 2-day training workshops in Northern California the week of March 18th-23rd. These workshops were held in Santa Rosa, CA and Arcata, CA. and they were well attended by approximately 20 participants at each location. The intent of these workshops were to bring the participants up to speed on the latest GIS software (ArcGIS Pro, and ArcGIS Online), best practices in cartography, managing data, and spatial analysis, and mobile data collection (ArcGIS Collector, ArcGIS Survey 123, and Azenva). Have you ever wished you had your own geoportal like ArcGIS Online within your own ArcGIS Online Organization, now you can with Esri Arcgis Hub. ArcGIS Hub and the Sites it can create will allow you to do just that. Now within UCANR we can create sub sites within our organization account. We have the ability to create sub sites for other groups in UCANR like Integrated Pest Management (IPM), 4H, Master Gardeners, to name but a few. I look forward to rolling out these Sites to other groups and team within UCANR. Day 1 at the User Conference was dominated by the Plenary talks of ESRI Owner Jack Dangermond and others. The morning plenary by Mr. Dangermond and other ESRI Staff is where they highlight the newest technology that we now have access to from ESRI. In the past I have heard of the User Conference as the “Show” and it continues to live up to that name. This year they highlighted the new machine learning and AI tools that have been integrated into ArcGIS and the new capabilities of ArcGIS Online, ArcGIS Portal, and ArcGIS Pro. Over the coming days I hope to highlight these technologies and more in greater detail. With the ever-changing world of technology and knowledge we have a need to get this information out to the public in a timely manner. One of the new tools that we can use are Storymaps from ESRI. These web based application combine text and maps into an intuitive and interactive experience. For more information about storymaps please go to the esri storymap website. In the coming months we will be offering training opportunities that will highlight these tools and how to build storymaps that can highlight your work. To build storymaps you will need an ArcGIS Online account. If you are part of the UCANR network please fill out the following form and we will help you get an account so that you can start building these storymaps yourself. Today was a great day at the ESRI User conference. I attended several sessions covering the use of raster and vector data in big data analyses, the use of python and r for data science, and the use of arcpy to create and modify maps in ArcGIS Pro. Speaking of big data and arcgis, over the past 5 years I have watched ESRI develop their software from a desktop environment to a distributed computer platform capable of analyzing millions of spatial features in minutes and hours instead of days or weeks. These tools are now accessible to the average users of arcgis without the need to understand the underlying big data frameworks and software. We now have the ability to install tools such as GeoAnalytics Server, the Spatial Temporal Datastore, and ArcGIS Pro and take advantage of big data analytics within ArcGIS Pro. By using these tools we do not have to know how to setup and manage tools like apache spark, elasticsearch, or other tools. The above tools are used to store and analyze vector data. To analyze multidimensional rasters, we have the ability to use mosaic datasets to store and analyze multiple raster datasets and multiple raster formats. Over the past years I underestimated the capability and the utility of mosaic datasets. These datasets have the ability to calculate custom raster functions on the fly. These datasets can also be shared via ArcGIS Server and ArcGIS Online. I look forward to utilizing the datasets in the future. One thing to note at the ESRI User Conference is that like last year all of the presentations that I have seen by ESRI staff this year have been on ArcGIS Pro. The ArcGIS Pro software is getting more powerful and ESRI is building more functionality into this new software platform. I cannot wait to see what day 4 brings tomorrow. Thanks Shane! Very helpful for us. Maggi Kelly: Thanks Shane! Very helpful for us.